The past few weeks have been marked by a lot of new cooking adventures. We have been privileged enough to have friends around our table for birthday celebrations that involved brined pork, homemade ravioli, homemade pies and ice creams, stuffed onions, and all kind of other fun things. It really tested me and I learned some new skills. But the best part was spending time with our friends. We’ve laughed until our stomachs hurt and I’ve felt overwhelmed by how blessed I am to have so many wonderful friends. That is one of my favorite things about food: it gathers us around the table so we can just be with one another. 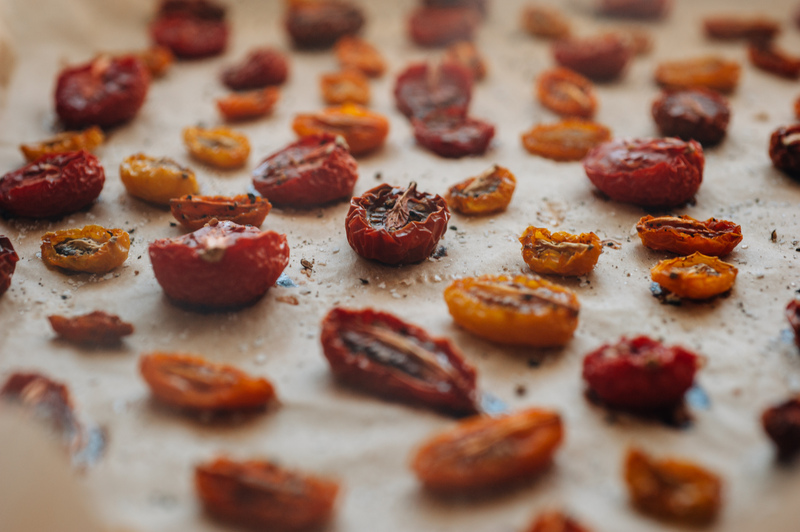 I thought I’d share one of the new recipes I tried, for these wonderful slow-roasted tomatoes. Seriously. These were about the easiest thing I made as part of a really big dinner this past week and they were really close to my favorite! 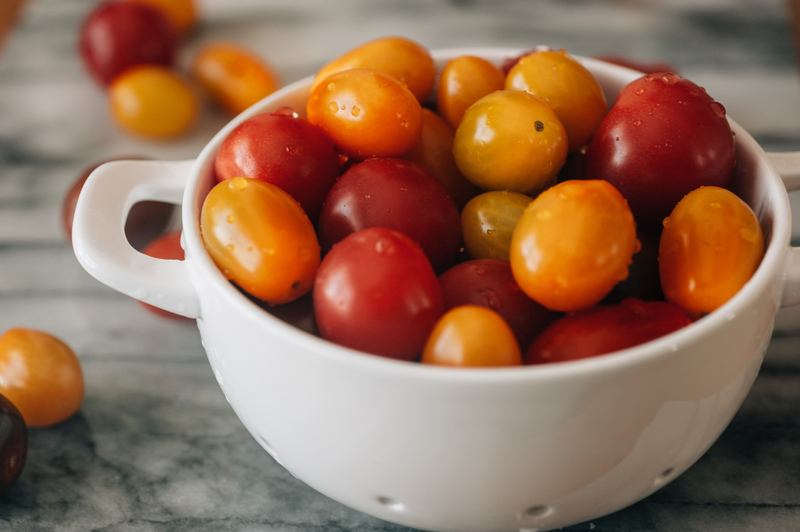 I used this as a starter with some homemade ricotta and crackers, but these tomatoes are good enough to eat alone. 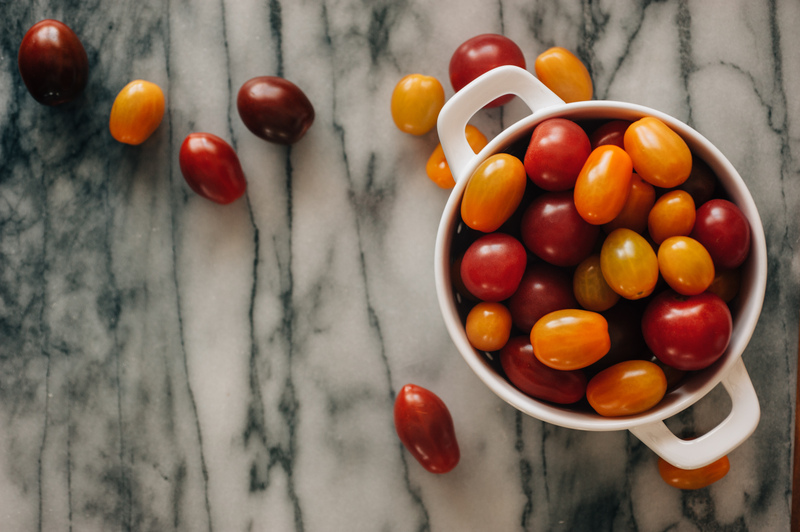 Tomatoes aren’t in season here in the midwest, but if you find some nice ripe cherry or smaller tomatoes, it will still work. 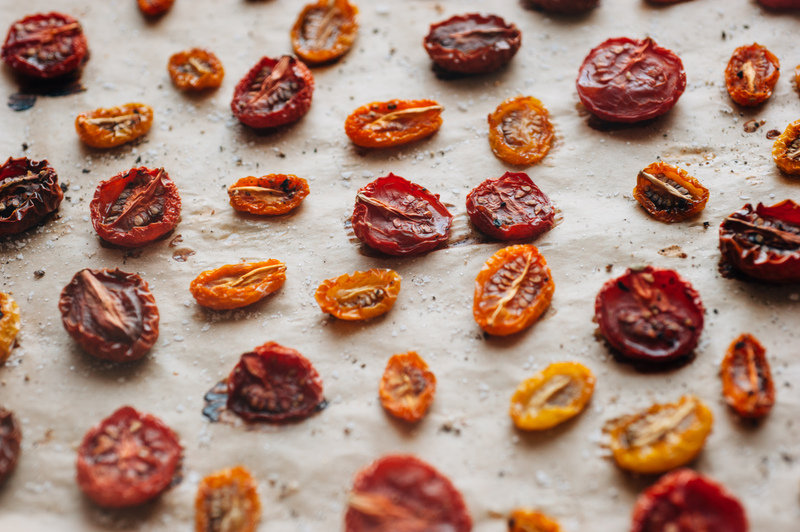 Don’t even think about trying this on those flavorless, waxy imitations of tomatoes you so often find in the grocery store. 1/4 oz sea salt (I used 1/2 tsp of coarse kosher salt)1/4 oz freshly ground black pepper. 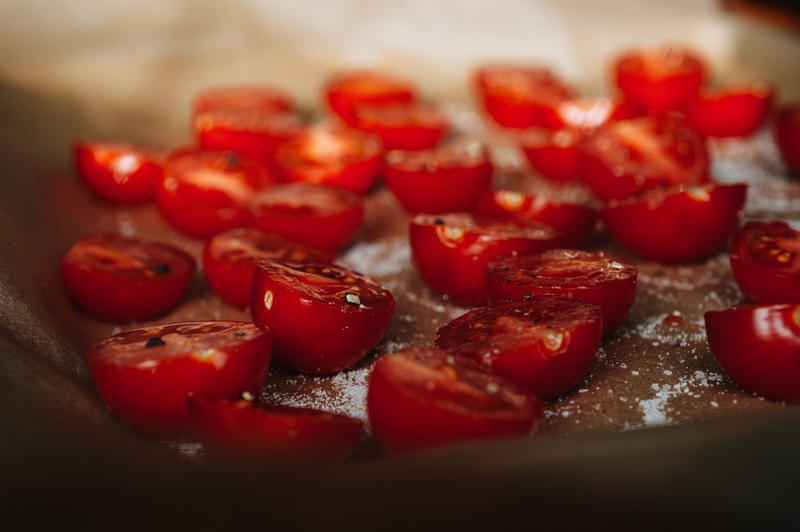 Turn your oven on to its lowest possible setting — probably 250ºF. (Mine goes down to 170ºF so I set it to 250º). 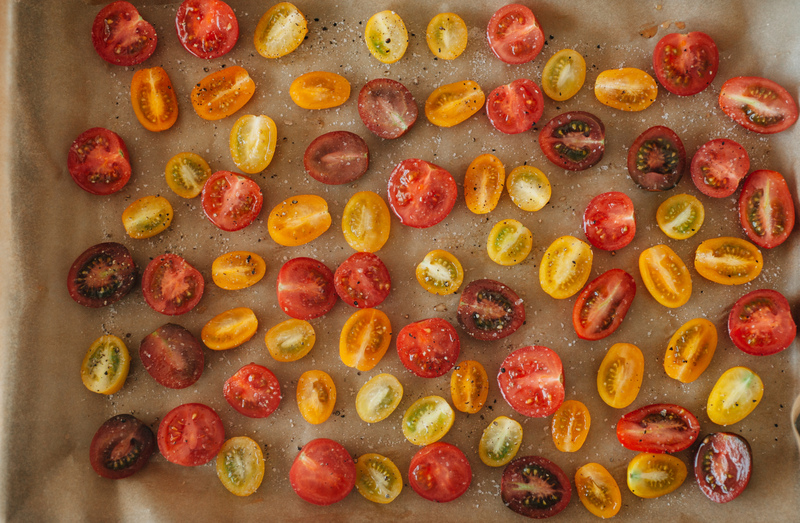 Lay the tomatoes, cut side up, in a single layer on on a baking sheet. 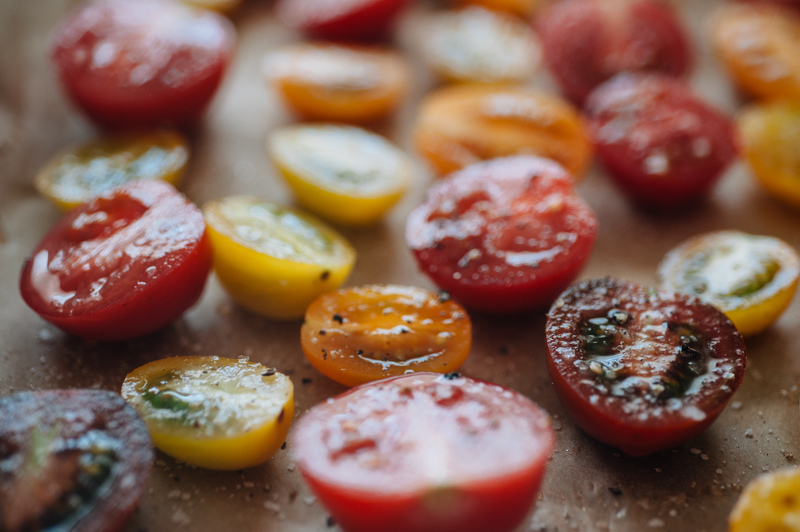 In a small bowl, mix together the sugar, salt, pepper, and then sprinkle over the cut surface of the tomatoes. 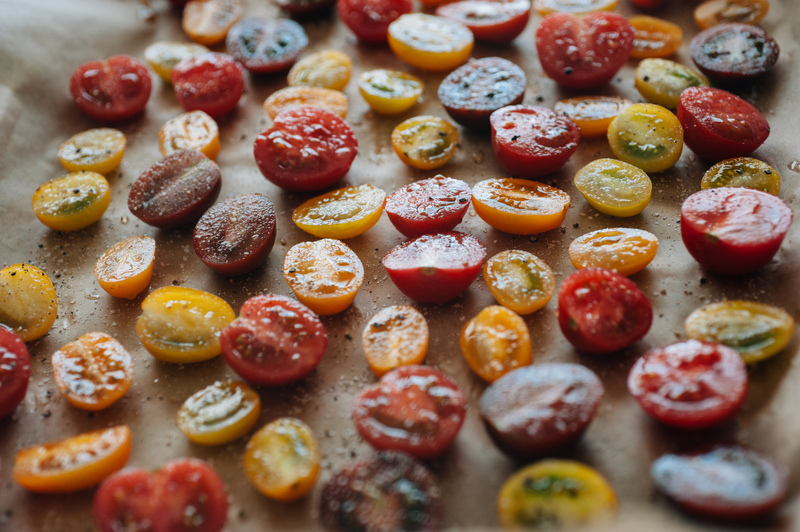 Roast, undisturbed, in the oven for 3-4 hours, or until they shrivel up, their pointy ends turning up like Turkish slippers. Remove and set aside until ready to use. 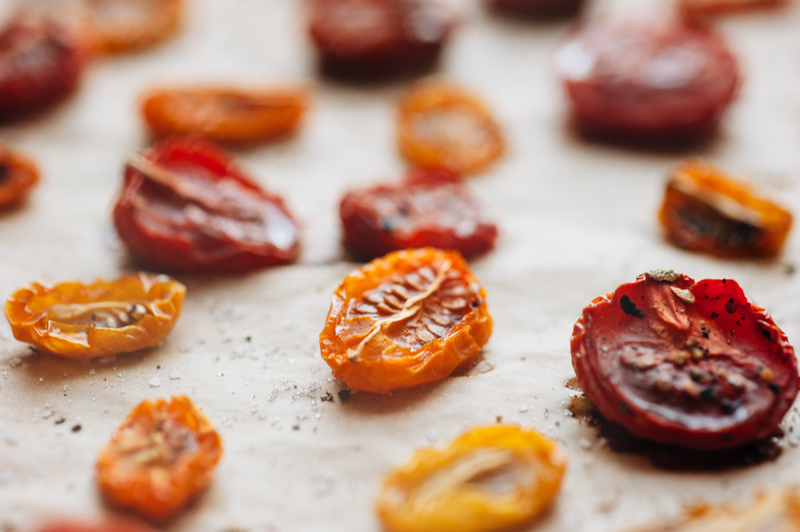 Slow-roasting intensifies the flavor, giving the tomatoes a deliciously sweet, earthy taste. yum!! 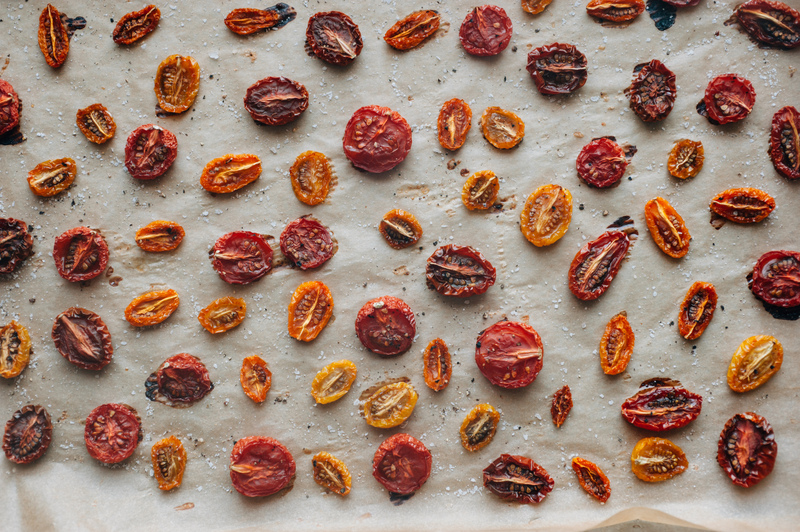 these look amazing- I love the colours of the tomatoes 🙂 I love eating roasted tomatoes with pasta or just on top of some scrambled eggs- how about you? Beautiful, simple and sounding wonderful!